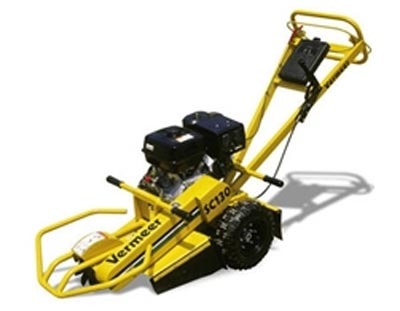 A cut above - The SC130 is portable and easy to maneuver, but its greatest attribute is the cutter wheel. Smooth cutting and long lasting, it takes only a few minutes to change using just 2 - 9/16" wrenches. Composed of 12 tungsten-carbide teeth common on larger commercial units, the wheel is segmented into four sections. If a section becomes damaged, it can be changed without replacing the entire wheel. The result - fast, economical replacement or sharpening of worn or damaged wheel segments. Information sourced from http://www.vermeeruk.co.uk.